The family of Audrie Pott - a teen who has now become a national symbol for sexual assault and cyber bullying - spoke publicly for the first time Monday, using their newfound status to urge for tougher laws and implore anyone who knows about their daughter's case to come forward. "If this could happen to my daughter, this could happen to anyone," Sheila Pott, Audrie's mother, said at a Monday news conference. Sheila Pott, the mother of Audrie Pott, speaks at a news conference on April 15, 2013 about her Saratoga 15-year-old being sexually assaulted in September and taking her own life. The 15-year-old Audrie tried to commit suicide on Sept. 10, eight days after a Labor Day house party where she drank too much, passed out and was allegedly sexually assaulted by three fellow students at Saratoga High - boys she had been friends with since middle school. She actually died on Sept. 12 in the hospital, according to her family's lawsuit. The 16-year-old boys were arrested Thursday on sexual assault charges and are expected to appear in a private juvenile detention hearing on Tuesday. NBC Bay Area was the first to report that news last week. In a statement, their lawyers called much of the reporting "inaccurate" and distanced their clients from the alleged crime and Audrie's suicide. "Most disturbing is the attempt to link Audrey's [sic] suicide to the specific actions of these three boys," some of the statement read. 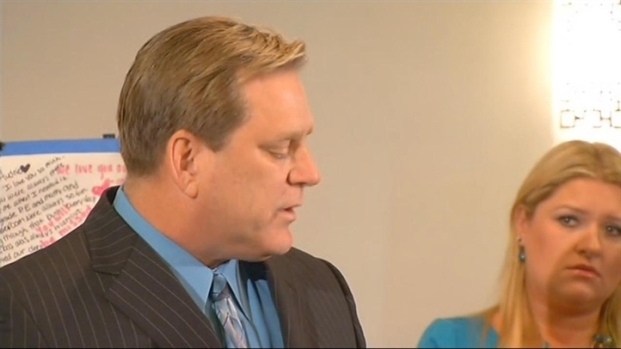 Larry Pott, the father of Audrie Pott, speaks at a news conference on April 15, 2013 about his Saratoga 15-year-old being sexually assaulted in September and taking her own life. 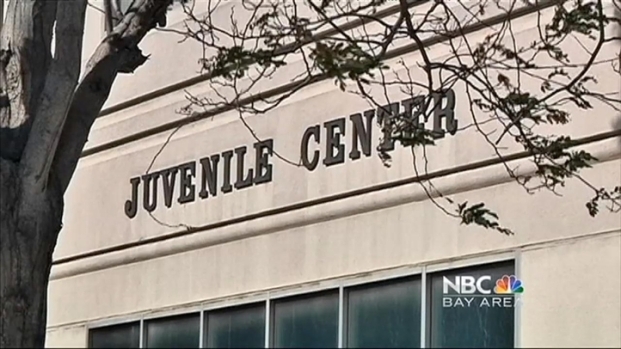 NBC Bay Area also learned on Monday after the news conference from attorney Bob Allard that there is a photograph of the girl with writing on her leg. At least one of the boys, Allard said, wrote on her saying something to the effect of "---- was here." Allard has not seen the photograph, but it was described to him. He referened it in a wrongful death lawsuit he filed on Monday in Santa Clara County Superior Cout, which also alleges the parents of the house party are also responsible. Lisa Pott, the step mother of Audrie Pott, speaks at a news conference on April 15, 2013 about the Saratoga 15-year-old being sexually assaulted in September and taking her own life. Her parents didn't learn why their daughter killed herself until her memorial service, where some friends told them there was more to the story that they should look into. That's when they hired Allard's law firm to investigate. NBC Bay Area doesn't normally identify victims of sexual assault or suicide, but have used the girl’s name in this report with her parents’ permission. They are hoping the story will help prevent something like this from every happening to anyone else. Arturo Santiago explains the legal decisions that go into charging juveniles as adults. It was Sheila Pott's idea to use her daughter's name in such a public forum, which has now become a global story. She and her ex-husband, Larry Pott, and his wife, Lisa Pott, are working on creating a law to stiffen penalties in California for cyber bullying and to treat juveniles as adults in some cases of sexual assault. They said they are now in the research phase of what they hope will be one day called "Audrie's Law." 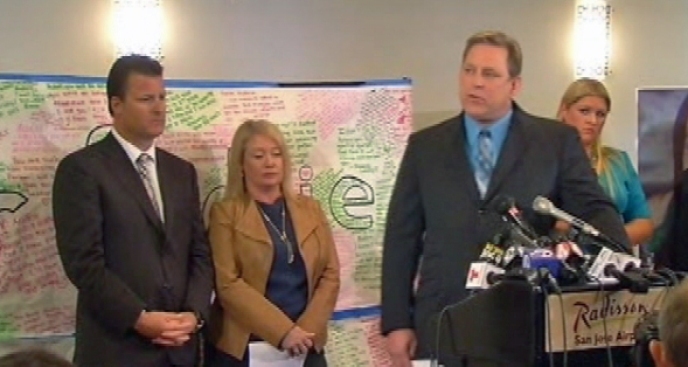 At the news conference, some new details into Audrie's story were revealed. According to Allard, the Pott's family attorney, the boys took "at least one photo" of the assault and showed it by email and text to at least ten people. He also alleged the boys harrassed her afterward and "took steps to cover up evidence." In her mind, Audrie felt as though "the whole school knew," Allard said at news conference, citing Audrie's Facebook page the family scoured after her death. Allard made a point to say there was a direct cause-and-effect between the party and Audrie's suicide, where hours before she killed herself, she called her mother: "I can't do this anymore Mom. Pick me up." Allard and Pott's parents said they are calling on the District Attorney and the judge involved to try these teens as adults. "I have a reputation for a night I don't remember." "The whole school is talking about it." "The boys who did this can die in a hole for all I care." Still, some evidence - including a cell phone that took the photograph - has not been turned over; at the conference, Lisa Pott said the family learned from the Santa Clara County Sheriff's Office that one of the boys said he lost or broke it, and the family begged for more information. Allard filed a 9-count wrongful death lawsuit against the boys and the homeowner where the Labor Day party took place, in large part, to compel some of this information to come forward. The complaint includes allegations of negligence, conspiracy, sexual battery, defamation and false imprisonment. The school told the family administrators had "disciplined" the boys and expelled them from the football team, but not from school, Allard said, because the alleged assault did not take place at school. Audrie's parents, on a website dedicated to her, described her as a gifted art student, a writer and a musician who played viola and piano, and she was part of a middle school band that played for Barack Obama's inauguration. Her father teared up and got very emotional during one point of the news conference in describing his daughter, who used to be "so full of life." "She was beautiful on the outside," Larry Pott said. "But she was more beautiful on the inside. she was sweet and kind. She was the wittiest and funniest kick in the pants you'd ever seen." FOR MORE INFORMATION:The Audrie Pott Foundation has been set up to provide information about Audrie and efforts to raise money to provide art and music scholarships to Bay Area students.